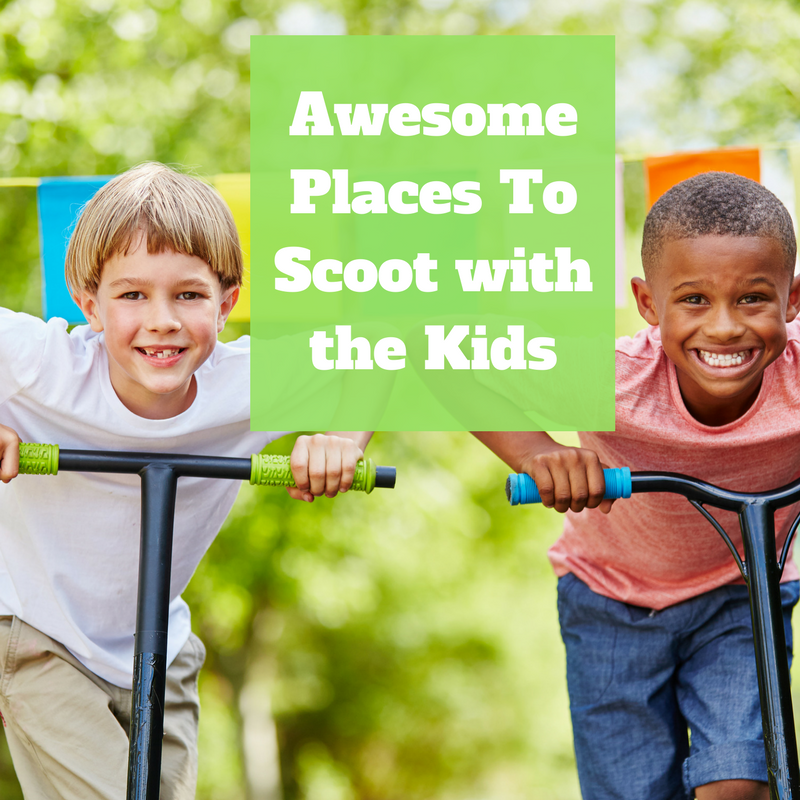 The local streets are a fantastic places to start of your scooting adventures but what if you want to take the kids further afield on their scooters or just do something a bit different there are lots of great options. ​Here are some of the best ideas of places near you in the UK (and beyond) where you could have a scooting adventure. Many National Trust properties have lots of paths and extra wide paths which are suitable for young kids to take their scooters. Some have cycle paths which are perfect for scooting along too. ​Although many properties will allow scooters, some don't so it's worth checking out the National Trust website or giving them a call before you go. 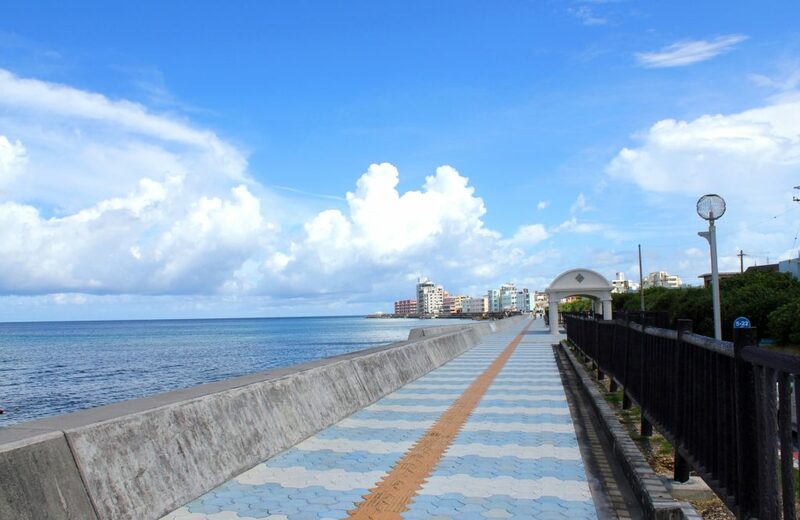 Many beaches have long promenades which are ideal for scooters. Here are some scooter route ideas for near the beach in the UK. Littlehampton is ideal for this and the microscooters website even have a family scooter route you can follow. The promenade which runs form Hengistbury Head to Sandbanks at Bournemouth Beach is another great option. It runs 10 miles in length so you will need to think about where to begin and end the scoot. There are cafes along the route. Although you can't ride between 10am and 6pm in July and August as it's too busy. Check out the picniq blog for other similar ideas. Microscooters also has a family scooter route in West Mersea Essex. Blackpool promenade is another great flat surface for family scooting. Many cycle paths are suitable for scooters too. Sustrans is a great website which gives lots of fantastic routes for the family. Check out some family friendly cycle routes to consider. 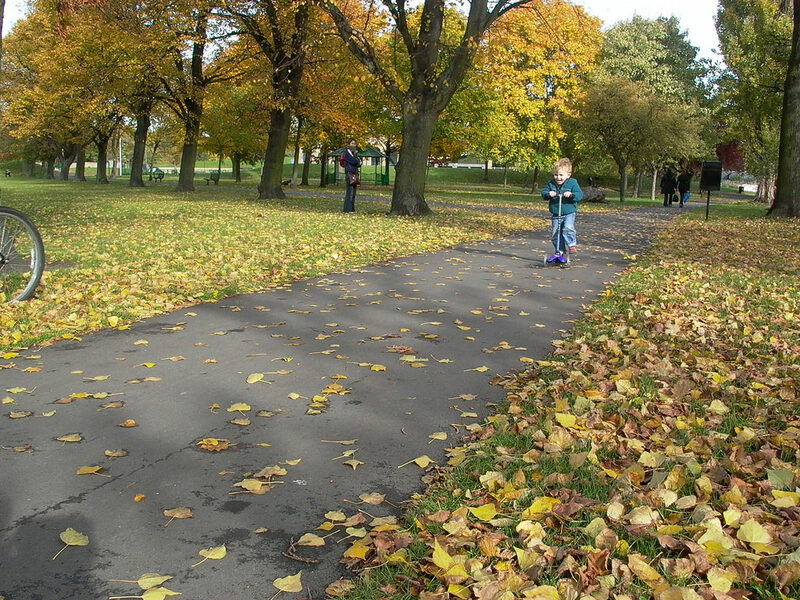 Parks are a fantastic place for little ones to scoot. There are also adventures for bigger legs at some of the bigger parks as well. The microscooters website has a family scooter trail for Hyde Park in London. London is obviously a great place for scooting in parks. Many of the Royal Parks such as Greenwich Park, St James' Park, Regent's Park and Richmond Park have great paths for scooting. A lot of parks in the UK also have skate parks where older kids will enjoy have a go at a few stunts and tricks. Photo by Pedro Reyna at Flickr Creative Commons. Many canal paths are flat, fairly wide and smooth and great for scootering. In a list of top scootering routes, micro scooters suggest Derby canal, Aire Valley Towpath in Leeds, Yorks and Union Canal in Edinburgh are great options. Obviously, it goes without saying take great care of kids (especially younger ones) near water. There are many former railway lines in the UK that can also be used as a scooting adventure too. One is the Consett and Sunderland railway path. It's 26 miles in total so you may want to choose just a smaller section to scoot along. ​he route into Sunderland takes you past the new Stadium of Light, along the riverside, through the marina and onto the beach at Roker. Stratford Greenway is another disused railway line and is five mile route in total. There is a cafe at 2.5 miles along. In Derby there is the traffic free cycle route runs from Derby to Worthington which encompasses a dismantled railway path. The route has waterside sections and great views of the surrounding countryside to enjoy. Like canal paths, riverside paths are often flat and paved especially in big cities like London. The southbank in London can be an awesome place to have a scooting adventure with kids who will love the street theatre. Otterspool Promenade in South Liverpool via Jericho Laner is another great spot for a scooter. There's also a playground along the way when little legs want a break from scooting. Older kids will enjoy trying out some stunts at the skatepark. Also, if you fancy going further afield why not consider an adventure Scootering along the La Seine river in Paris.